There’s still no deal in Gaza. Negotiations between Israeli and Palestinian delegations took place in Cairo this week and both sides have made one thing clear: their demands are different from those made during previous Israeli-Palestinian cease-fire talks over the years, and a compromise will be hard to come by without one side making extreme concessions. 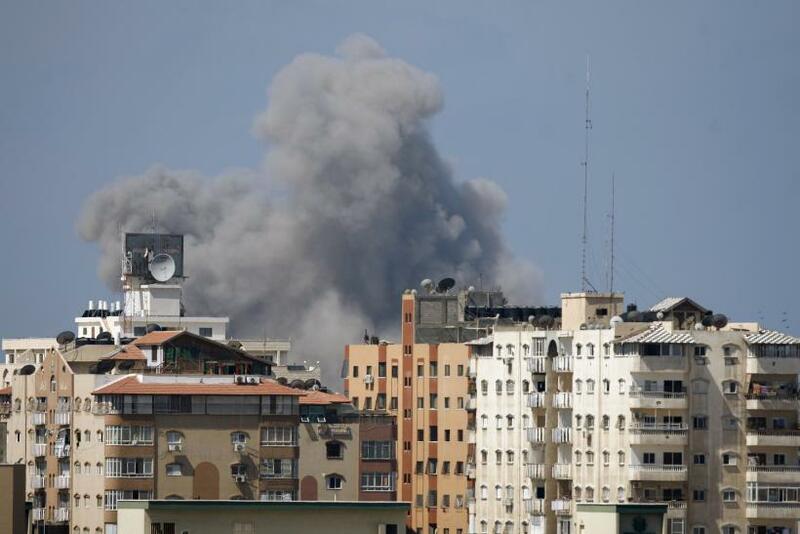 A senior Hamas official reportedly said it would not extend the 72-hour cease-fire that expired at 1 a.m. EDT on Friday. Late Thursday night, the Israeli military said two rockets were fired into Israel and accused Hamas of violating the cease-fire. With the threat of fresh fighting and increased casualty numbers approaching, the negotiations haven’t changed much over the last 72 hours. A few minutes past the 5 a.m. GMT deadline, there was still no decision on extending the cease-fire, Reuters reported, citing a Hamas official. Israel wants Hamas disarmed, Hamas wants to completely end the blockade, and international parties involved in the talks want to see increased involvement of the Palestinian Authority in Gaza. Egypt proposed the cease-fire agreement in question nearly three weeks ago. Originally, Hamas rejected the two-part proposal, but has since come around. The first part called for a cessation of all hostilities, bringing about the three-day cease-fire. The second called for indirect negotiations on both parties’ demands, mediated by Cairo, as neither side will recognize the other as a legitimate government. And, this is where things get tricky. Giving the Palestinian delegation everything Hamas asked for would mean rewarding an organization that has been deemed a terrorist group by both the United States and the European Union, and that’s not something any of the parties involved are inclined to do. However, Hamas won’t settle for anything less. While meeting either side’s demands in full means the other side's would be automatically rejected, parts of the proposal have already been agreed to. Israel has accepted Hamas’ demands to increase the space where Gazan fisherman can fish, and allow for Hamas employees to resume receiving their salaries. Hamas also wants a sea port, an airfield and the release of Hamas members arrested in the West Bank in June, but Israel has said no to each of those demands. Unlike past cease-fire agreements, this time Israel wants to eliminate the possibility of the rearming of Hamas or the Islamic Jihad, a militant group based in Gaza. Hamas has rejected this. Another key part of the talks has been assigning additional power to the Palestinian Authority, the more moderate Fatah-backed government in the West Bank. The end goal is to facilitate reentry of the PA into the Gaza Strip and enabling PA security forces to control the border crossings that Hamas wants opened. “I don’t think anyone has the illusion that the PA is going to walk in and take over everything,” Zilber said. He added that the first step to getting the PA back in Gaza should be to have the PA security forces deployed to the Egyptian-controlled Rafah crossing, which is the only crossing into Gaza not under Israeli command. It is primarily used for pedestrian purposes and occasionally for bringing in and exporting goods. Some experts disagree with the international community’s push toward the PA, claiming that it would only divide Palestinians further and make it harder to reach a lasting agreement. From the standpoint of Gaza civilians and Israeli soldiers, however, the 72-hour cease-fire was worth it for the simple fact that there were no casualties and many got to return home.